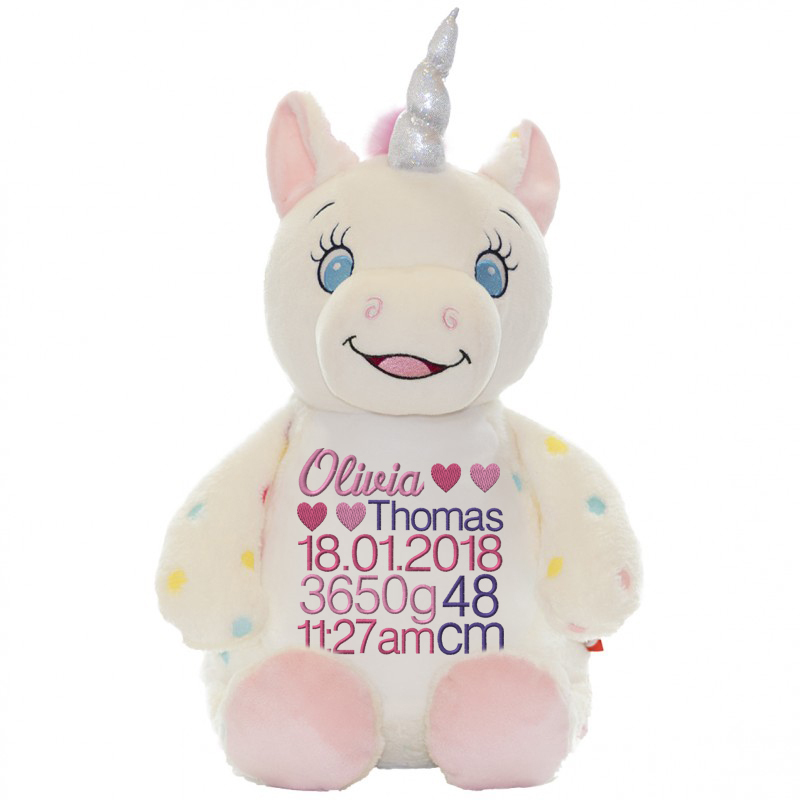 This beautiful personalised spotted unicorn will make the receiver’s eyes light up when they see her gorgeous face and special embroidered message. 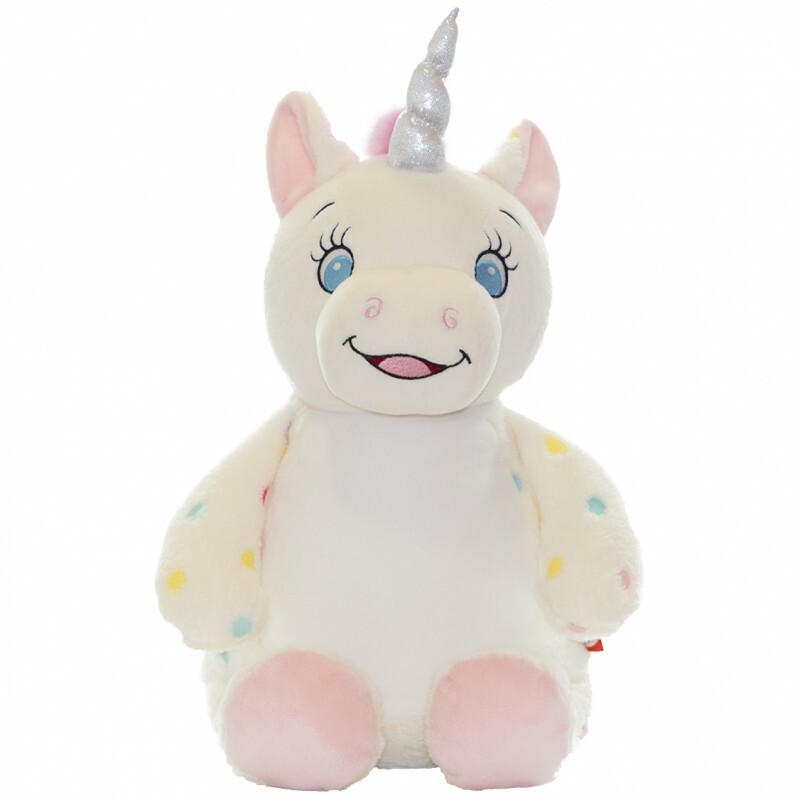 It’s not easy to find a plush toy that appeals to a wide age-range, but our unique spotted unicorn is just as popular with toddlers as it is with young primary aged children. 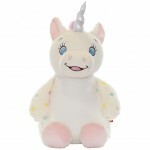 With a velvety soft finish, she loves cuddles, but also adds a magical touch to any bedroom. Our heart and butterfly designs look particularly gorgeous on her tummy, but the possibilities are endless and will all make for a gift that is treasured for years. If you have any questions about our Personalised Spotted Unicorn, don’t hesitate to get in touch.